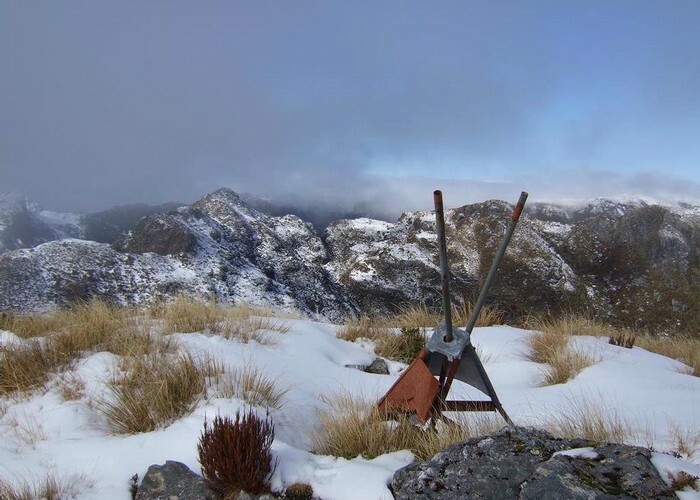 Day trip to a 1252m summit off the Paparoa Range behind Bullock Creek farm. View SE from Mt Bovis August 2011 • By glennj. Licence: C.
Added 19 April 2006 by MatthewMatthew. 1 revision 10 February 2016 by richardh_nzrichardh_nz. 353 views in the past year (29 per month).